Another of these great Hartoys 1:64th scale models from the American Highway Legends Series. 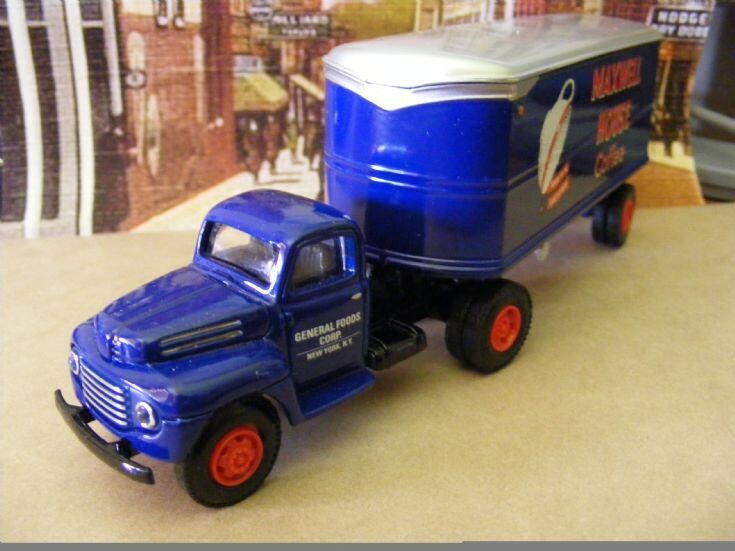 Again a Ford F-7 this time carrying advertisements for Maxwell House Coffee 'Good to the Last Drop' and the haulier is the General Foods Corporation of New York. I am currently trying to obtain a listing for these models and the years of production to be able to see the full range.